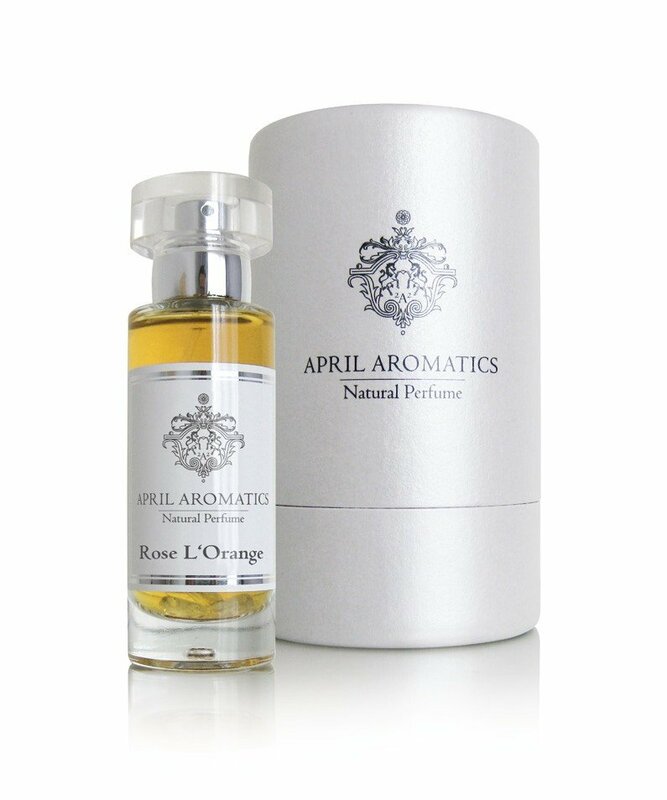 Rose l'Orange is a perfume by April Aromatics for women and men. The release year is unknown. The scent is floral-fruity. It is still in production. I pictured red roses in orange juice and didn't expect to like this one at all, but the first whiff was delightfully bold and then it settled into anomalistic fabulosity for me. If conventional perfumes have been boring you lately, if you like both Florabotanica and L'Heure Bleue, if you...if you. Oh, heck. If the notes appeal, just buy it. I sure am. Rose L'Orange skips any signs of top notes, moving immediately to its heart. During the heart the composition focuses on a strong dull orange and mandarin tandem with a soapy aldehyde-infused rose joining in prominent support. During the late dry-down the dull orange, mandarin and rose notes remain, now softened by moderately powdery vanilla in the base. Projection is average, as is longevity at 8-10 hours on skin. There is not much to write about Rose L'Orange. The notes indicated in the composition name definitely are present and drive its highly linear development -- what little there is of it. For an all-natural composition this one has a slightly artificial smelling bent to the dull orange, somewhat reminding me of unpleasant orange flavored children's medication. While the composition shares some similarities to this unpleasant childhood memory, Rose L'Orange really is not nearly as bad, and once you get to the late dry-down the powdery vanilla takes a bite out of the dull orange-led floral assault providing the best part of the development by far. 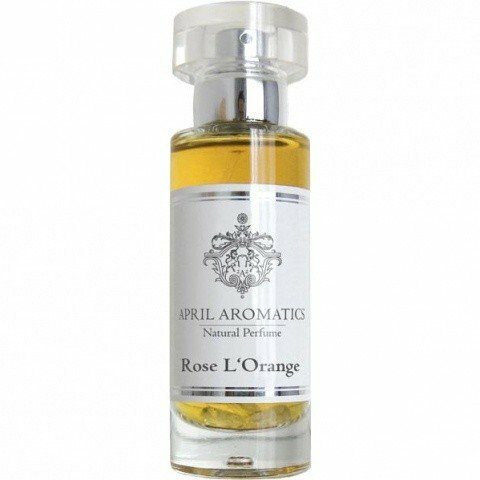 The bottom line is the $225 per 30 ml bottle Rose L'Orange is a decent linear minimalist offering from April Aromatics that earns an "above average" 2.5 to 3 stars out of 5 rating. This is near immediately forgettable and even more-so when its relatively high price is taken into account. Pass. Rose L'Orange is one big powdery battle of rose versus orange blossom. I quite like this fragrance, and its bold, unique approach. This could be a unisex scent, and I say this because Rose L'Orange turned out to be a lot less feminine than I expected it to be. I admittedly don't know too much about natural perfumery, and April Aromatics, (as a brand), is fairly new to me. Mainstream brands tend to give floral notes like rose and orange blossom a soft, sweet and/or fresh aroma. I really wasn't expecting the somewhat bitter and green floral opening, further highlighted by realistic neroli. I came to love the smell after some time on the skin, however the opening did cause me to take a few steps back. The heart was evidently much smoother. Still slightly bitter, but muskier and sweet. Rose L'Orange smells like something I would expect from Jean Claude Ellena's Hermes range, with vegetal-like qualities and a unique spin on popular accords. Rose and orange blossom, are two of my most beloved floral notes, however when blended together I'm not so convinced. I like this fragrance, but unfortunately not enough to compel me to wear it again, let alone buy a full bottle. The longevity was truly fantastic, as was the sillage which projected itself with sudden wafts of floral beauty every now and then. This fragrance is really worth discovering, and now that I've had a taste of this brand, I want to discover more. Write the first Review for Rose l'Orange!